• 1829 mm length 1.25mm thick. Buying this product will earn 291 Loyalty Points. 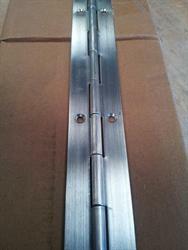 Be the first to submit a review for the continuous piano hinge satin stainless steel 32mm open 1829mm.